The Independence Day of the Philippines falls on a different date. 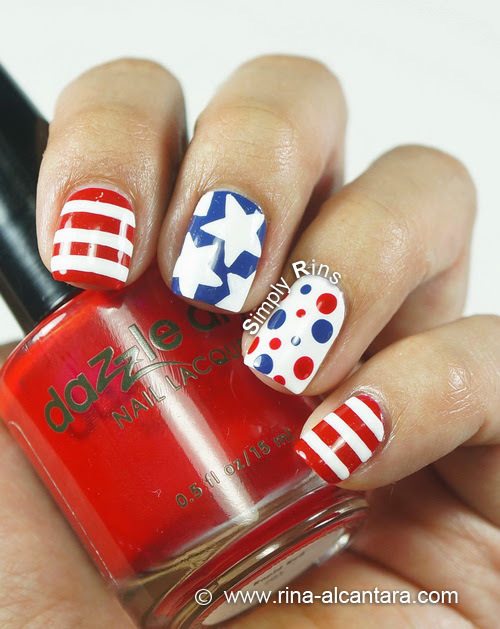 But I hope my international friends from the U.S.A. will not mind if I celebrate theirs with this 4th of July inspired nail art design. 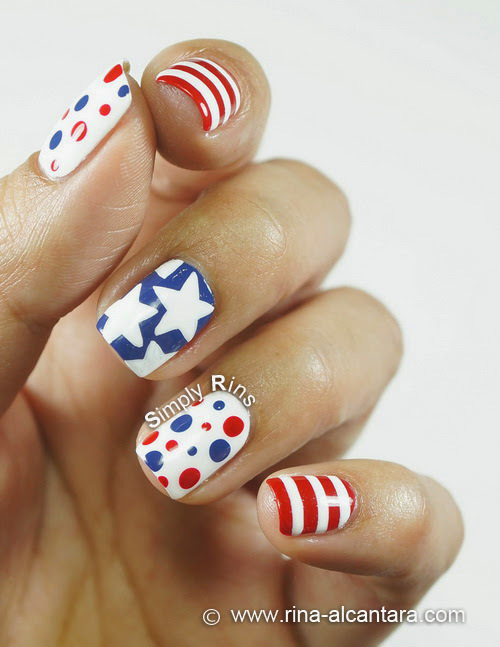 This freehand nail design was patterned after the United States flag. Red and white stripes, stars on blue, and the polka dots on the white background is my way of saying that this event deserves a celebration! I hand-painted the design using acrylic paints and a stripper nail art brush. I found this brush more manageable to use even for painting the stars because of the precision the shape requires. I also used a dotting tool for the polka dots. "Happy Independence Day to all my friends in the United States! Have a great weekend!" I love the polka dots! Did you use differently sized dotting tools for the big and small dots?